INFTA is involved in a range of national and international research projects. As such, INFTA has developed a core curriculum for the training of Forest Therapy Guides conforming to and setting the international standard. This has been accomplished in 2017 through national and international collaborations and with the assistance of 120+ experts from over 20 countries. Most recently, INFTA has been invited to assist a range of top-level research and policy institutions in the Peoples Republic of China with regards to fostering and developing Forest Therapy. 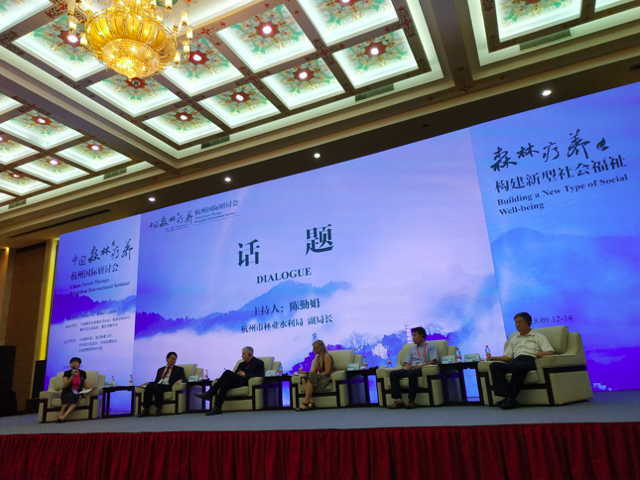 INFTA feels honored to assist the Chinese Society of Forestry, represented by its Chairman, Mr. Zhao Shucong, and its affiliated member, the Chinese Committee of Forest Therapy it their endeavours. Responsible for the cooperation is Mr. Liu Lijun, President of the Chinese Committee of Forest Therapy. Further, INFTA was privileged to resume a new international collaboration with the Korea Forest Service and Chungbuk National University. Instrumental here was Prof. Dr. Won Sop Shin, the leading voice of Forest Therapy in South Korea. You can read and download interesting research papers and informative background material about Forest Therapy, Shinrin-yoku and mindful walking from around the world at our references page.